Melissa Robles is seen left. The avid cyclist was killed when she was struck by a vehicle in a Feb. 19 accident in McAllen. EDINBURG — The family of an avid cyclist who was killed in an accident earlier this year filed a wrongful death lawsuit with the Hidalgo County Clerk’s Office Tuesday against the driver of the vehicle that fatally struck her. The civil lawsuit alleges that driver Samuel Molina engaged “in certain acts and/or omissions which constitute negligence” on the morning of Feb. 19, when he “carelessly and violently struck” 32-year-old Melissa Robles. These allegations include driving while distracted, driving at an unsafe speed and failing to yield the right-of-way to a bicyclist, among others. The collision occurred in the 1600 block of South Second Street at approximately 5 a.m.
“Losing my sister has been devastating for our family,” he said. Marisol Robles, Melissa’ mother, said it’s a horrible feeling for a parent to know that their child’s death could have been preventable. The family believes Molina was distracted at the time of the crash. The McAllen Police Department completed its investigation into the collision and sent the case to the Hidalgo County District Attorney’s Office on April 12 for prosecutorial consideration, according to police spokesman Lt. Joel Morales. Molina has thus far not been charged in the incident, and the family cannot access information from law enforcement, such as investigation reports, due to the case being an open criminal investigation. The DA’s office is awaiting results of blood samples and toxicology reports to see if Molina had any drugs or alcohol in his system at the time of the accident, District Attorney Ricardo Rodriguez said. “At this point it seems that the determination has been made that there is no alcohol or drugs that had anything to do with the accident,” Rodriguez added, further noting that the results are expected within the next two weeks. Once reports are finished, the DA’s office will either file criminal charges or send the case to a grand jury, which may render an indictment. The family hopes Molina will face criminal charges. 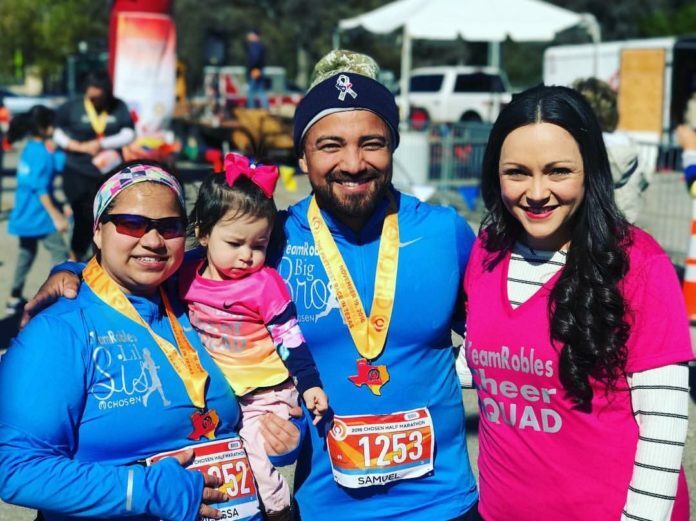 John Escamilla, the attorney representing the Robles family, said the only way they can learn about “the hours and minutes leading up to the accident” is by filing a lawsuit, which means Molina will be deposed and compelled to testify. The lawsuit will also allow for access to Molina’s cellphone records and employee time sheets as they try to piece together the cause of the collision. The family’s hope is to prevent similar accidents from occurring in the future. Escamilla said the lawsuit also raises awareness by letting drivers know that if they hit and hurt a cyclist, they will be held accountable and that there are consequences. “We want a healthy community, we want an active community but people are not going to be riding bicycles, which they have every right to do, if they feel like they are going to get killed … ,” Escamilla said. “The only thing that we can do to prevent this type of tragedy from occurring over and over is to raise public awareness and my clients are hopeful that something positive can come from this tragedy.